^ Armstrong, Wayne P. and Steven Disparti. 1998. 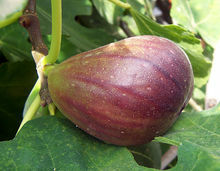 A key to subgroups of dioecious* （gynodioecious） figs. 互联网档案馆的存檔，存档日期2012-02-02. Berg, C.C. & Corner, E.J.H. （2005）: Moraceae. In: Flora Malesiana Ser. I, vol. 17, part 2. California Rare Fruit Growers, Inc. （CRFG） （1996）: Fig. Retrieved November 1, 2008. Condit, Ira J. 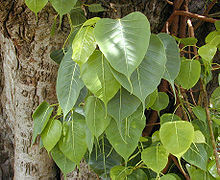 （1969）: Ficus: the exotic species. University of California, Division of Agricultural Sciences. 363 pp. Denisowski, Paul （2007）: Chinese-English Dictionary — Fig. Retrieved November 1, 2008. 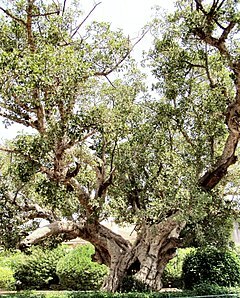 Lewington, Anna & Parker, Edward （1999）: Ancient trees: Trees that live for 1000 years: 192. London, Collins & Brown Limited.